Wish your students "Happy birthday!" One dozen No. 2 pencils. The students love this little gift on their birthdays! My students enjoy receiving these pencils on their birthdays. I have fun singing to them in Spanish with the class and then giving them a nice small gift. 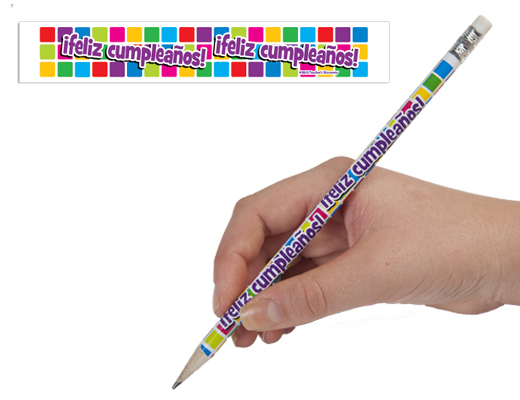 I give out a pencil & sticker on each student's birthday, and we sing las mananitas. They enjoy it!